242. A brake used in cranes and hoisting machines. 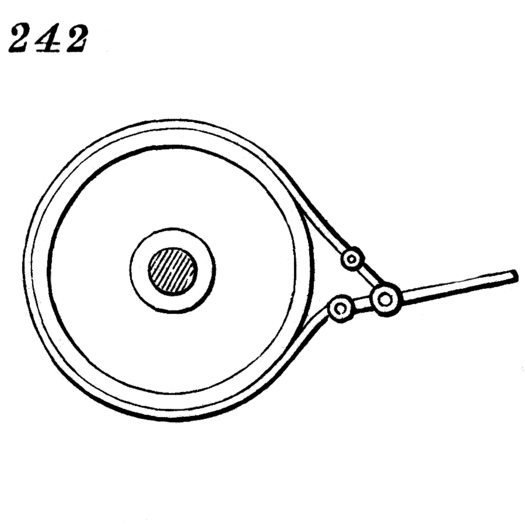 By pulling down the end of the lever, the ends of the brake-strap are drawn toward each other, and the strap tightened on the brake-wheel.